Wednesday, February 14, 2018 – 11:00 A.M.
Donald Ray Hall, age 70, of Bronston, passed from this life on Saturday, February 10, 2018 at the home of his beloved daughter Donna (John) Hubbard after an extended illness. He was born on October 15, 1947 in Lynch, Kentucky, son of the late Dock Hall and Alta Griffie Hall. 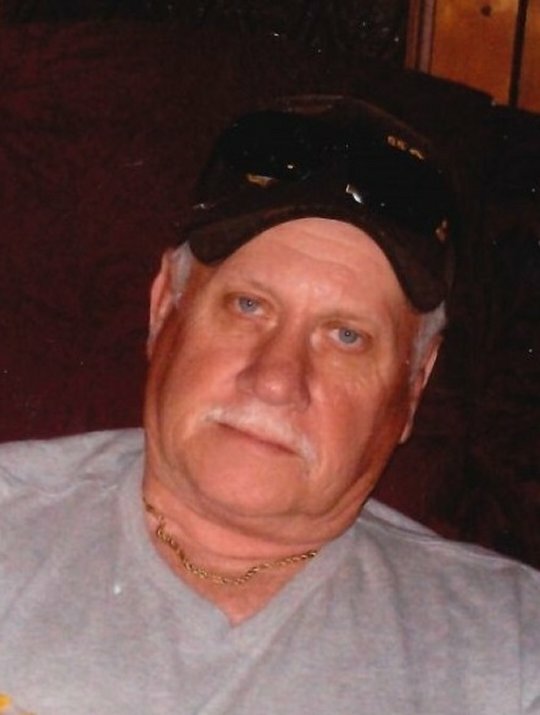 Donald served his country in the United States Air Force, after completing his associates degree and went on to become a Retired Coal Miner after several years of dedicated service. He was a member of the Burnside Masonic Lodge of Burnside # 634. Donald enjoyed fishing hunting and outdoor activities and perhaps his favorite pastime was spending time with his family and friends. Donald was a kind-hearted and generous man that won the affection of many friends. He will be sadly missed by those who knew and loved him. Besides his parents he is preceded in death by an infant brother; Dock Hall, Jr. He leaves behind to cherish his memories, his beloved wife of 50 years; Linda Turner Hall of Bronston, son; Cody Hall of Bronston, two daughters; Lana (Danny) Kelly of Bronston and Donna (John) Hubbard of Somerset, Like a son; Mike (Sabrina) Phelps of Bronston, “Like a daughter” Linda (Scott) Brown of Bronston, Like a grandson; Alex Phelps, two friends “Like a brother” Dave (Clara) Babinski of Nancy and Wayne Troxell of Bronston, 6 grandchildren; Hannah Kelly, James Kelly, Donald Kelly, Ashley Coots, Junior Coots and Aiden Hall and two great-grandchildren; Kaiden Branson and Kylie Kelly along with a host of other relatives and friends. Visitation will be from 6:00 until 9:00 p.m on Tuesday, February 13, 2018 in the Chapel of Southern Oaks Funeral Home. Masonic Rights Service will be held at 7:00 p.m. on Tuesday Evening in the Funeral Home Chapel by the Masonic Lodge of Burnside #634. The Funeral Service will be at 11:00 a.m. on Wednesday, February 14, 2018 in the Funeral Home Chapel with Bro. David Barnard and Dave Babinski officiating. Interment will be in the Mill Springs National Cemetery in Nancy, Kentucky. Full Military Honors will be conducted by the American Legion Post #38. In lieu of Flowers, contributions may be made in memory of Donald Ray Hall to the Shriner’s Hospital for Children, 110 Conn Terrace, Lexington, Kentucky. 40508. Southern Oaks Funeral Home is entrusted with the arrangements for Mr. Donald Ray Hall.